Actors yearn for Oscars, athletes crave Olympic gold—but for scientists, writers and champions of world peace, there's no bigger honor than a Nobel Prize. The Nobel judges will announce the winners of the 2016 awards beginning this week, one prize a day, starting with medicine on Monday. Here are five things to know about the prestigious prizes, created by 19th-century Swedish industrialist Alfred Nobel. 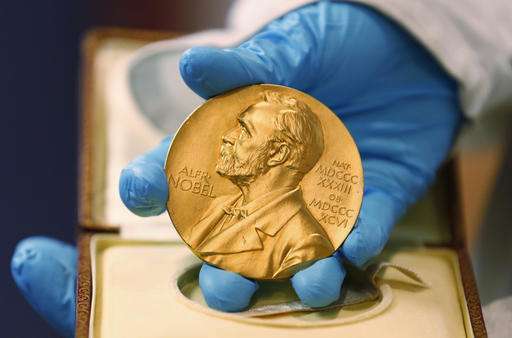 The prestige of the Nobel Prizes comes down to history and cash, says Gustav Kallstrand, curator of the Nobel Museum in Stockholm. Each award is currently worth 8 million Swedish kronor—about $930,000, making the Nobel Prizes among the world's most lucrative awards. Kallstrand says when they were first handed out in 1901, the prize money equaled about 20 years of a professor's salary. Today the money is secondary, he said. For many, the biggest reward is joining the likes of Albert Einstein, Marie Curie, Martin Luther King Jr., and Ernest Hemingway in the pantheon of Nobel laureates. Ask Nobel judges about the front-runners for this year's awards and they will clam up as if they're protecting secret nuclear codes. The Nobel statutes prohibit them from discussing any nominations—besides the winners—for half a century. Kallstrand says there are two reasons for this secrecy. One is that judges want to spare those who were nominated, but didn't win, the stress of feeling like they lost. "The Nobel Prize isn't a competition in that sense," he says. The other reason is to safeguard the independence of the Nobel judges. In the early days of the prize, Kallstrand says, the world scientific community was quite small, so the judges often knew the nominees and those who nominated them. By keeping the deliberations secret, judges could feel free to speak candidly about the candidates. In his 1895 will, Nobel specified which institutions should select the winners. For the medicine award, he gave the task to Stockholm's Karolinska Institute. The Royal Swedish Academy of sciences got the physics and chemistry awards and the Swedish Academy, which is a different body, got the literature prize. In a decision lamented by many a Swede, he gave the peace prize—the most high-profile trophy of them all—to a panel selected by the Parliament of neighboring Norway. Nobel never explained his reasoning, but Norway and Sweden were joined in a union at the time. Also, Norway was a small, peaceful country on Europe's periphery. Perhaps Nobel felt it was more suitable for a peace prize than Sweden, which had a history of military aggression against its neighbors, and coerced Norway into a union after losing control of Finland to Russia. IS THE ECONOMICS AWARD A NOBEL PRIZE? Strictly speaking, no. Nobel didn't mention a prize for economics in his will. It was created in 1968 in his memory by the Riksbank, the central bank of Sweden. Still, the economics award is handed out with the others, with the same pomp and fanfare, at the annual award ceremony on Dec. 10, the anniversary of Nobel's death in 1896. But the Nobel Foundation, which administers the awards, still won't call it a Nobel Prize. Officially it's called the Sveriges Riksbank Prize in Economic Sciences in Memory of Alfred Nobel. Laureates often get asked this question, and their standard reply is "work hard and follow your passion." It helps, of course, to make a groundbreaking discovery like X-rays or penicillin. In the science categories, winners often have to wait decades before the Nobel judges feel confident their discovery has withstood the test of time. It's different for the peace prize, which is often intended as a shot in the arm to someone in the midst of a struggle for peace or democracy. That explains why some peace prizes, in hindsight, can seem a bit premature—like the 1994 award for a Middle East peace agreement that is now in tatters.